Click on icon key in browser. Show messages what must download Kaspersky Password Managar. Plugin Kaspersky Password Managar working normal. 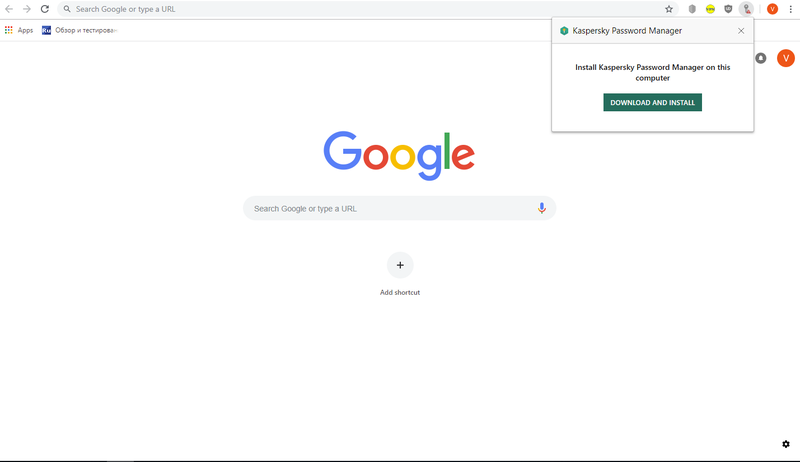 Do you install plugin for Google Chrome using buttons in KPM or do you load unpacked kpm.crx? Also can you send me id`s your plugin from KPM and chrome? Open "C:\Program Files (x86)\Kaspersky Lab\Kaspersky Password Manager 9.0.2". Open chrome.nm-server.manifest.json as typical .txt file, use any notepad for it. Find next word "chrome-extension://" and send me symbols set next to it. For example: I have next in my chrome.nm-server.manifest.json : "chrome-extension://objoldinpoihjimeidlcmghoigbabanl/"
Paste chrome://extensions/ in URL field and click "Enter" button on keyboard. Find Kaspersky Password Manager4.1.8 and click "Details". Find ID and send me please. These id`s must be the same. I want check it at first. I believe the Access violation i reported is the cause, my plugins also dont work. Can you check your problem in new KPM build : https://eap.kaspersky.com/topic/780/kaspersky-password-manager-9-0-2-596-windows?